The 2018 Mercedes-AMG GT R starts at $157,000 and has a 577-horsepower, 4.0-liter V8 inside, going from 0-60 mph in what Mercedes says is 3.5 seconds. 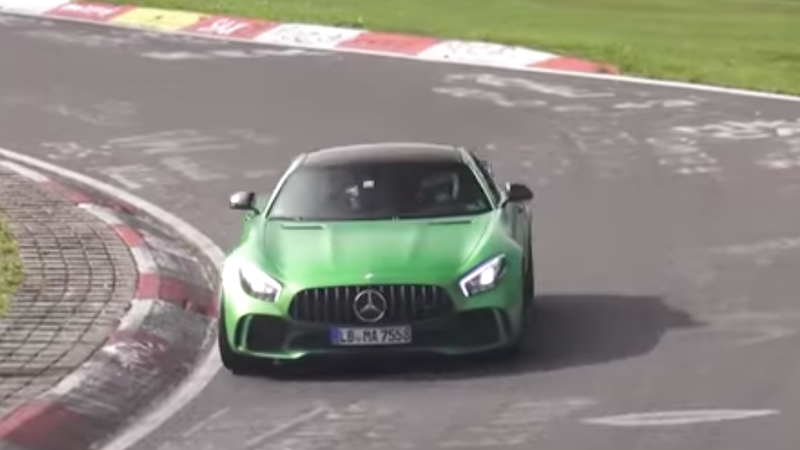 That might not even be the end of it for the Mercedes-AMG GT. If you can’t afford a Ferrari, in other words, the GT R is for you, a beast that’s also an alternative to a Porsche 911. Recently, a spy caught some footage of what might be an even fancier model, the GT Black Series, just speeding along at Nürburgring. It looks pretty good! If you were itching to spend the tens of thousands of dollars you have lying around, maybe hold off until next year, when the GT Black Series is expected to land.